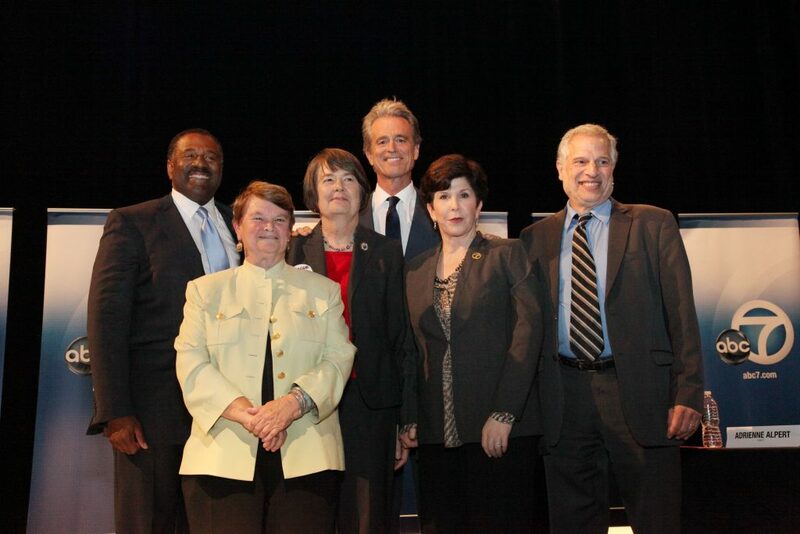 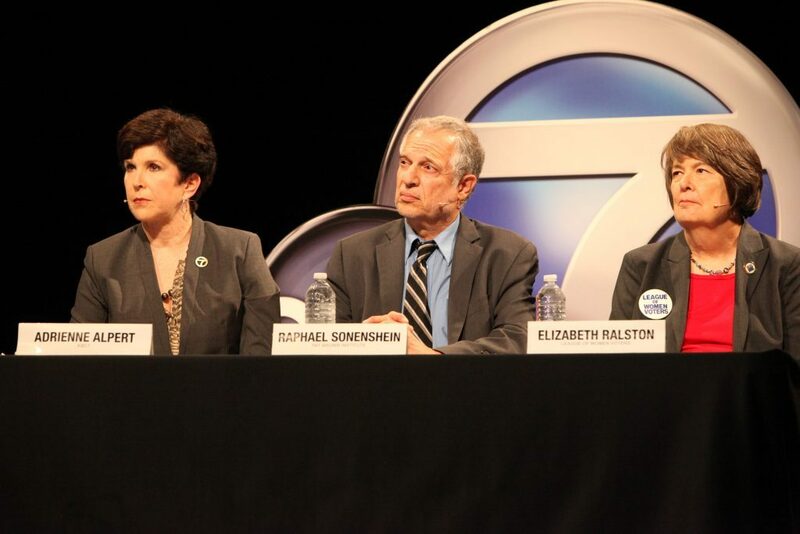 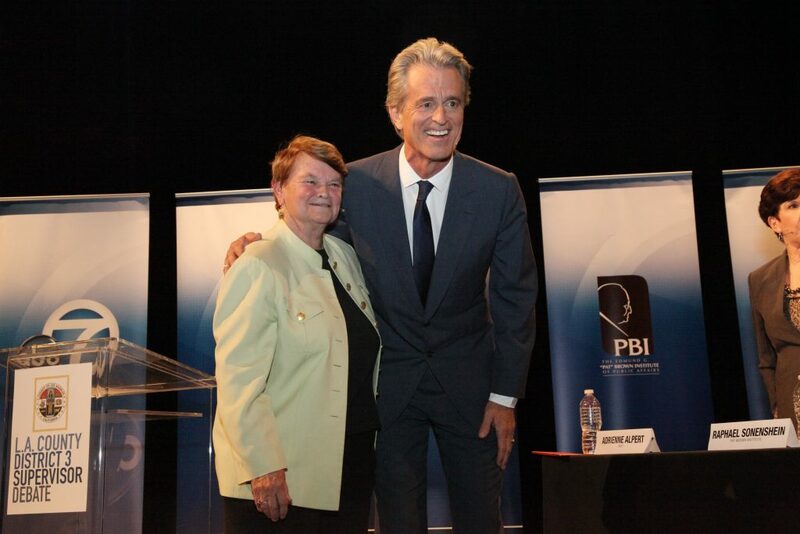 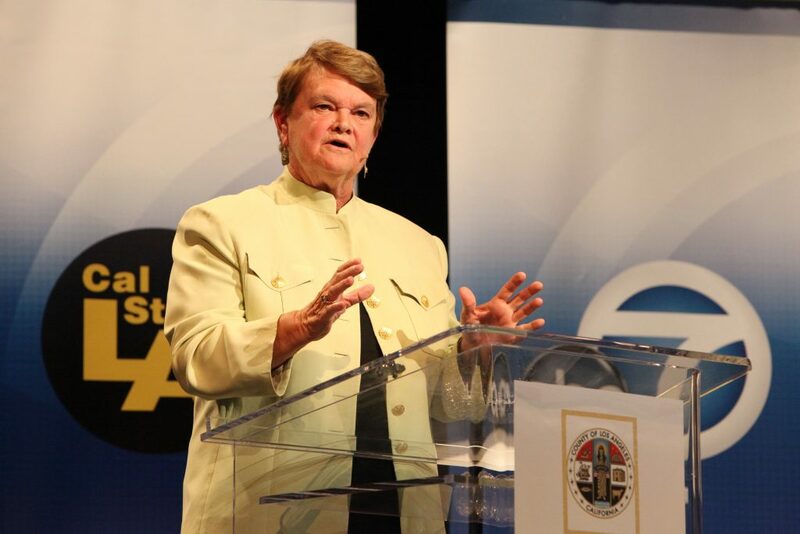 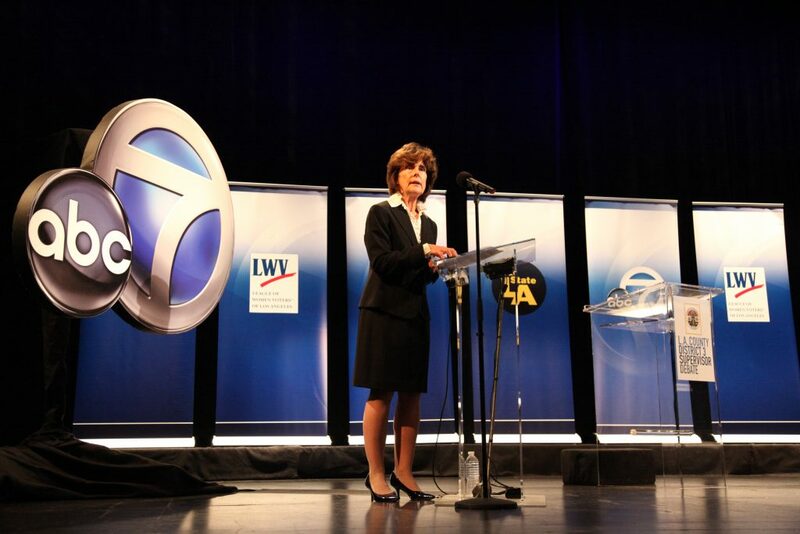 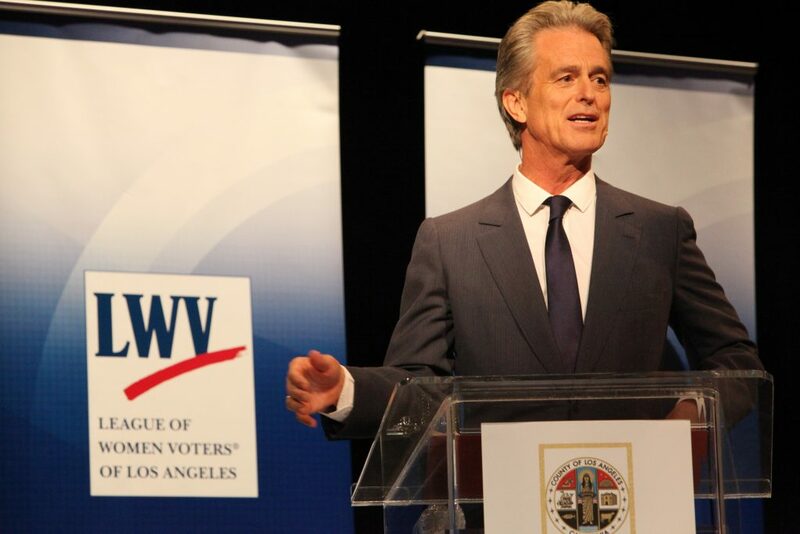 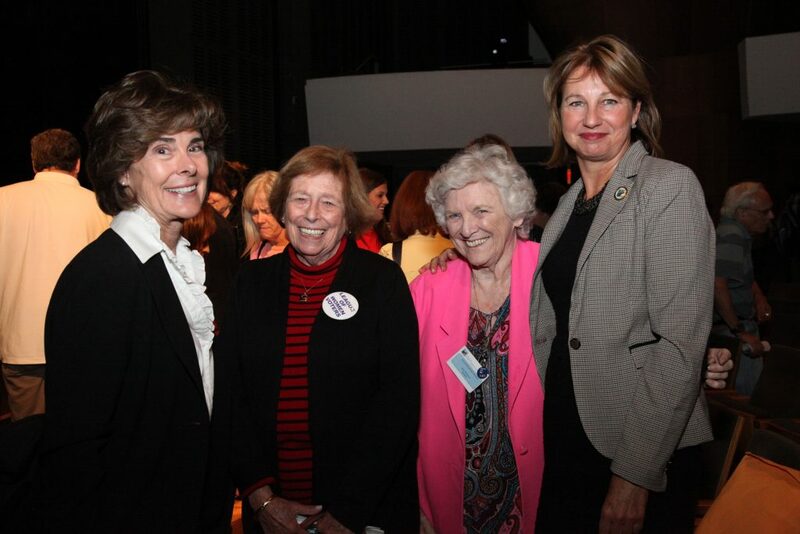 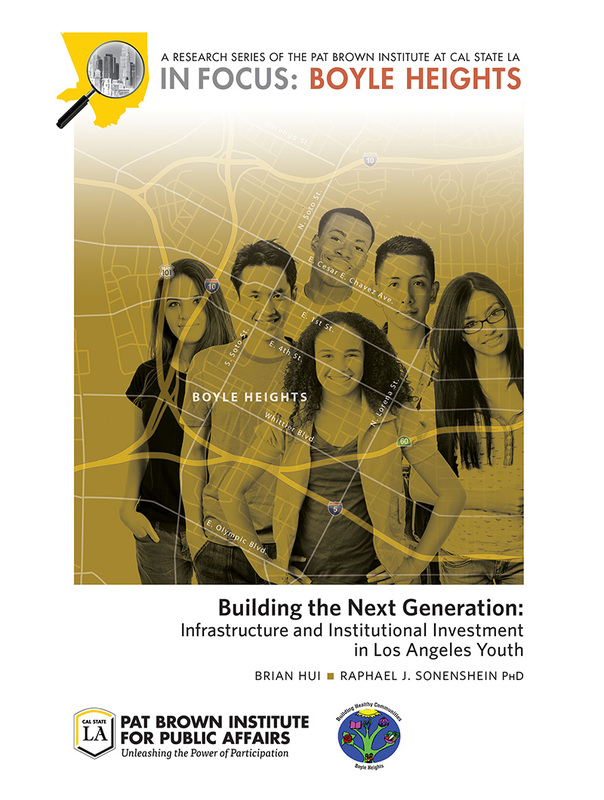 On October 17th, the Institute once again joined forces with ABC-7 and the League of Women Voters of Los Angeles to host the Los Angeles County District 3 Supervisor Debate between Sheila Kuehl and Bobby Shriver. 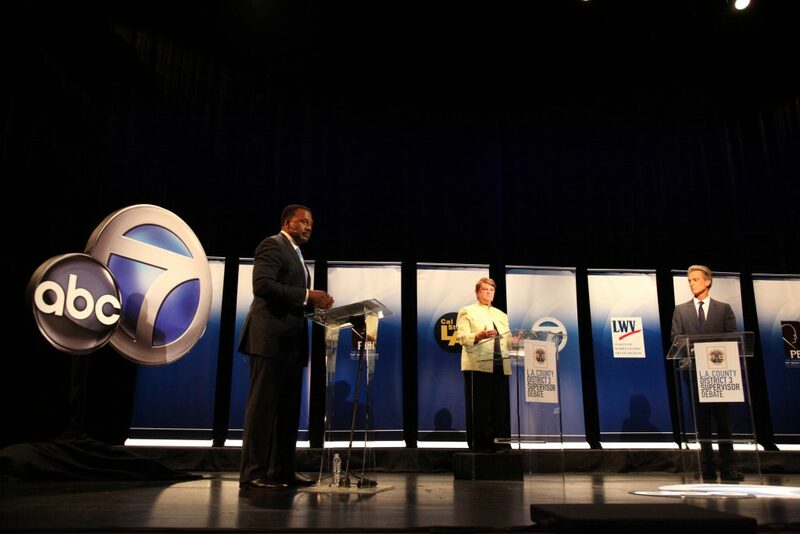 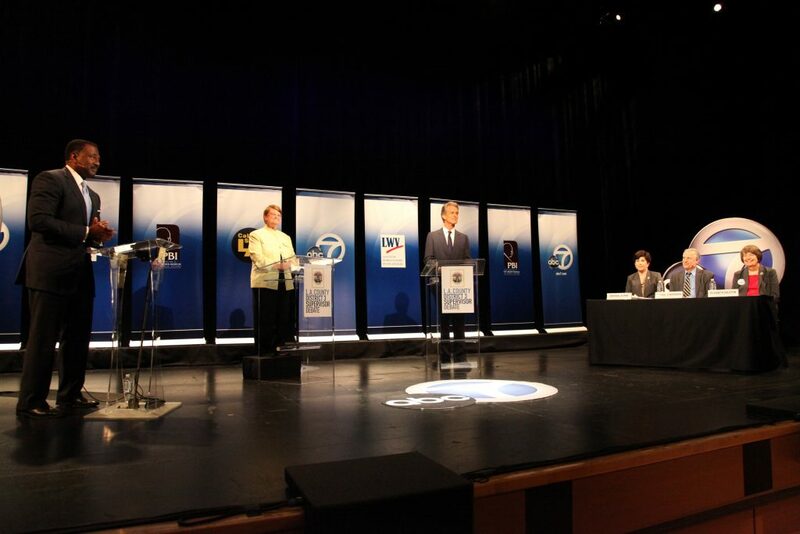 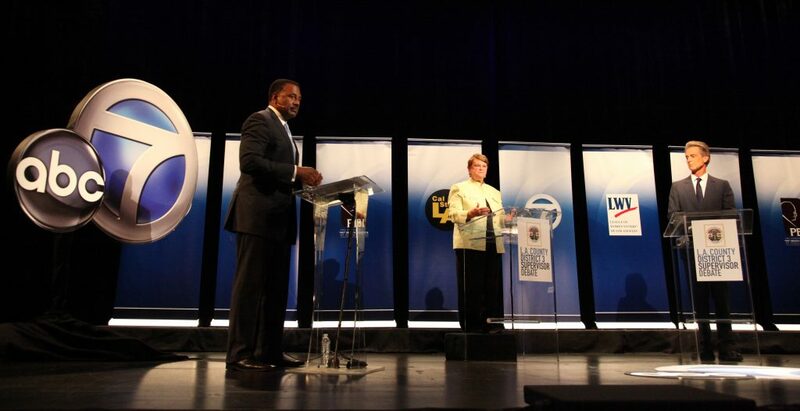 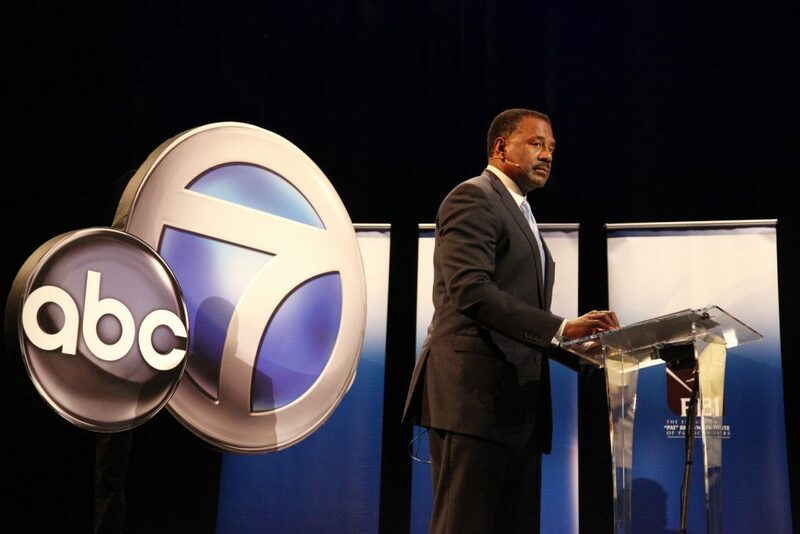 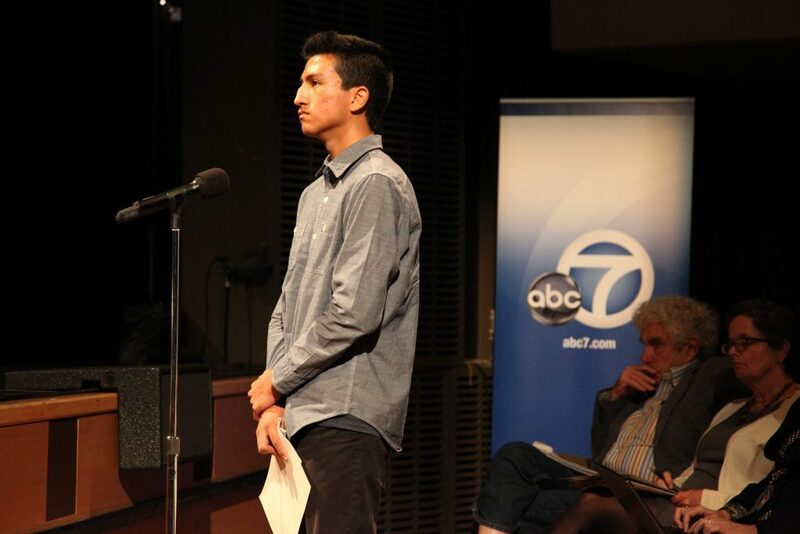 The debate was broadcasted live on ABC7 from the Broad Stage on the campus of Santa Monica College. 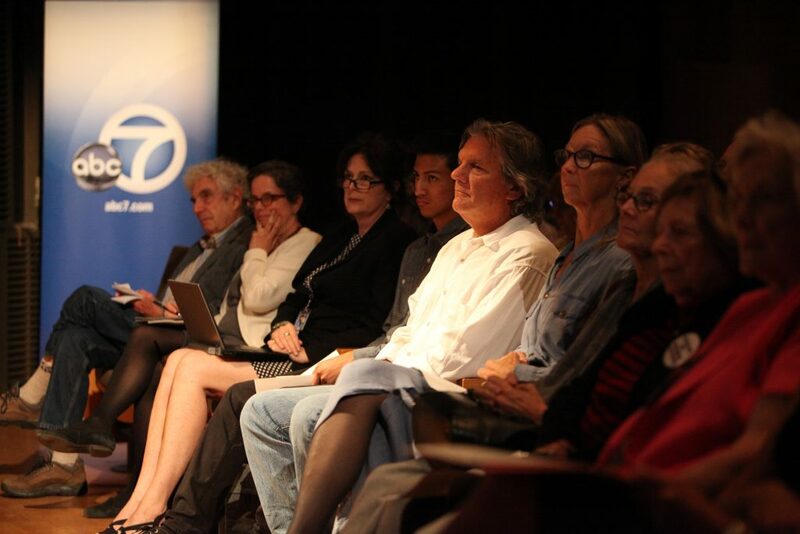 The audience was made up of local civic and community leaders. 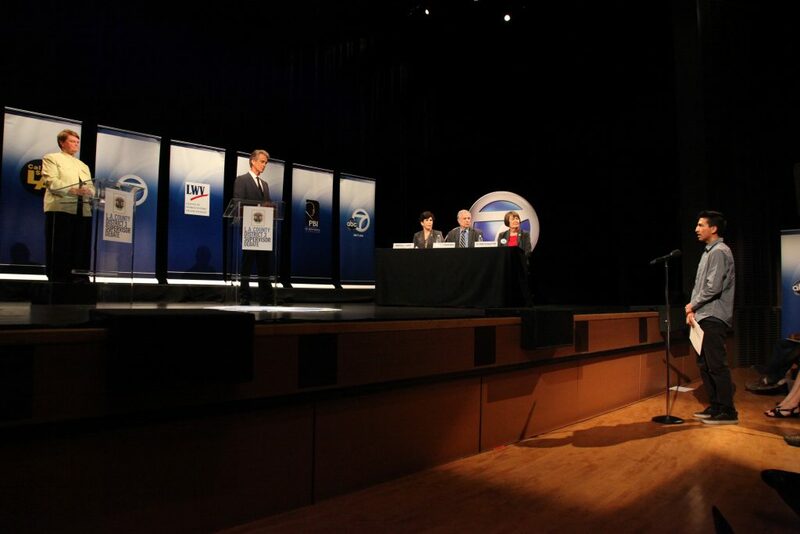 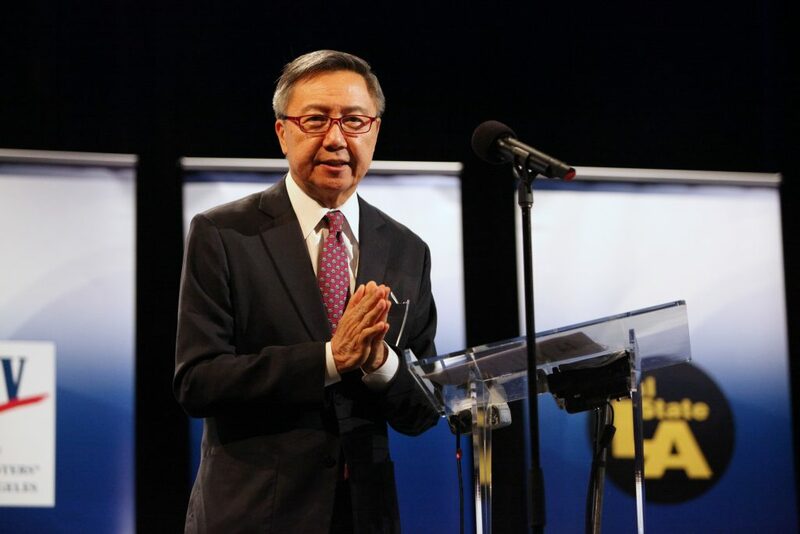 The debate’s moderator was ABC7 News Anchor Marc Brown, and our panelists included the Institute’s Executive Director Dr. Raphael Sonenshein, ABC7 Reporter Adrienne Alpert, and Elizabeth Ralston, former President of the League of Women Voters of Los Angeles.